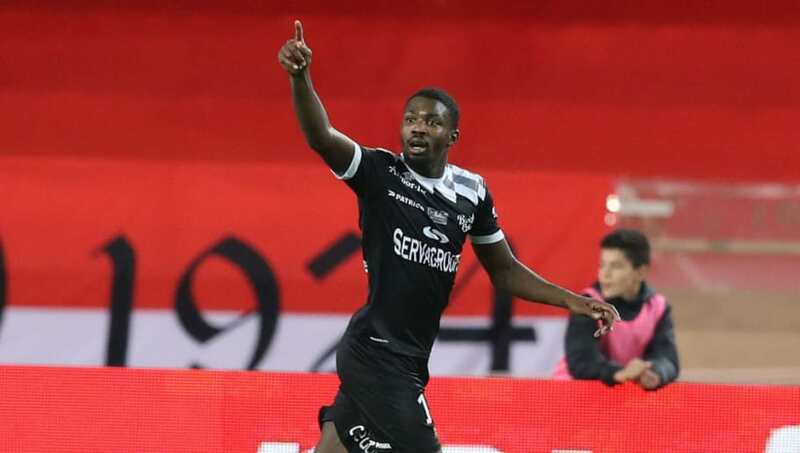 ​Arsenal, Tottenham and Manchester United are all said to be keeping tabs on Guingamp striker Marcus Thuram - the son of 1998 World Cup winner Lilian Thuram. The 21-year-old has enjoyed a decent season in front of goal thus far, registering eight goals in 15 appearances for Guingamp, and was on hand to score the winning goal in the Ligue 1 outfit's recent cup upset against PSG. According to ​The Sun, his exploits in front of goal haven't gone unnoticed and Premier League big guns ​Arsenal, ​Tottenham and ​Manchester United are all expressing an interest in snapping him up. All three clubs sent a scout to watch the striker during Guingamp's Ligue 1 fixture against Saint-Etienne on Saturday, where he impressed despite his side's 1-0 defeat. Thuram has been with Guingamp since 2017, having joined the club from Sochaux in 2017 and he has represented France at every youth level from the Under-17s through to the Under-20s. Tottenham may be in the most need of a new striker after ​Harry Kane suffered an ankle injury during their defeat to United on Sunday and ​Son He​ung-min temporarily left the club to join up with South Korea for the Asia Cup. Mauricio Pochettino has already admitted that he is worried about their current situation, suggesting that some reinforcements may be necessary this month. Speaking about Kane's injury, he said, as per ​BBC Sport: "We are going to lose Son Heung-min for the Asia Cup and if Kane suffers an injury, it is going to be massive for us. He twisted his ankle and we hope that it is not a big issue."